Two days is still very little time to see everything Barcelona has to offer at your leisure, although if you plan your trip well you’re sure to fit in quite a lot. For this reason, we’ll need to follow religiously the Catalan saying “anar per feina” that literally translates as “to go for work purposes”, meaning that you shouldn’t get distracted and you should discipline yourself to do what needs to be done. We’ve prepared a plan that would allow you to see quite a lot of the city in a weekend, visiting some of the most famous sights as well as some that aren’t so well-known, but are well worth a visit. However, we appreciate that everyone has their own priorities and preferences, so we recommend taking a look at the 20 essential places to visit in Barcelona, so that on the basis of what we have suggested you can make up your mind as to what you’d like to prioritize. Two days in Barcelona may seem enough to see many things, but this is only the case if your trip is well planned. To facilitate this task, you can leave it on an expert’s hands. 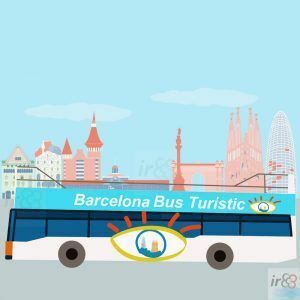 Based on the indications you give to him/her (type of traveler you are, things you are interested about doing in Barcelona, if you’re traveling with friends, family or couple) the tour guide from tripUniq will organize your trip tailored for you. If you’re visiting the city in the summer and you’d like to go to the beach at some point, it will probably be necessary to fit quite a lot into this morning, without hanging around too much, so that you’ll be able to enjoy the beach and the city’s other sights of the city in the afternoon. Your aim should be to arrive at the beach at around 12:00 – 12:30. The day starts, fairly promptly in the morning, with a walk along the Rambla de Barcelona, from where it begins in the Plaça de Catalunya. You’ll therefore get to experience some of the hustle and bustle of the heart of the city centre, whilst seeing some of the best-known sights of the city, such as the La Boqueria market, the Plaça Reial and the Gran Teatre del Liceu. We recommend that when you get to the top of Carrer Ferran you walk up to Carrer Petritxol to stop off at one of the two ‘granges’ or chocolate cafés, Dulcinea or La Pallaresa, before continuing your walk. If you’re not planning to spend time on the beach, you can spend a bit more time taking in the sights on this walk, and head to the Barri Gòtic (Gothic Quarter) that’s on the left hand side of Las Ramblas. When you reach the end of Las Ramblas, next to the statue of Christopher Columbus, you’ll find yourself in the area known as the Port Vell (the Old Port), which is the oldest port in Barcelona. If you keep walking along the Moll de la Fusta (literally the Wooden Pier) you’ll arrive in La Barceloneta, which is the area where the city’s fishermen used to live. You can get to the beach by following the Passeig Joan de Borbó, although we recommend you delve a little deeper into the streets within this area, which will give you the chance to get a feel for the atmosphere of Barceloneta, albeit in passing. Through crossing Barceloneta you’ll arrive at the beach, or should we say the beaches, because this long stretch of coastline is divided into four different beaches: the Platja de Sant Sebastià, Platja de Sant Miquel, Platja de la Barceloneta and the Platja del Somorrostro. If you’re visiting Barcelona in the summer and you’d like to go to the beach while you’re in this area, depending on what time it is you can either eat first then go to the beach, or do it the other way round. If you opt to eat after going to the beach, we recommend reserving a table in one of Barceloneta’s many restaurants, many of which specialize in paella, fideuá and seafood. Some of them have an outside dining area with views of the sea, such as Platja Ca la Nuri or Restaurante Salamanca. If these are fully booked then you could return to the narrow streets of Barceloneta, where you’ll find many excellent restaurants – for example Can Solé, Marítim, La Mar Salada, Can Majo, Can Ros, El Xiringo de la Barceloneta and Cheriff. Although it won’t be the cheapest of meals, we really think there’s nothing more enjoyable than good paella by the sea, or a meal in one of the best traditional fish and seafood restaurants that the city has to offer. 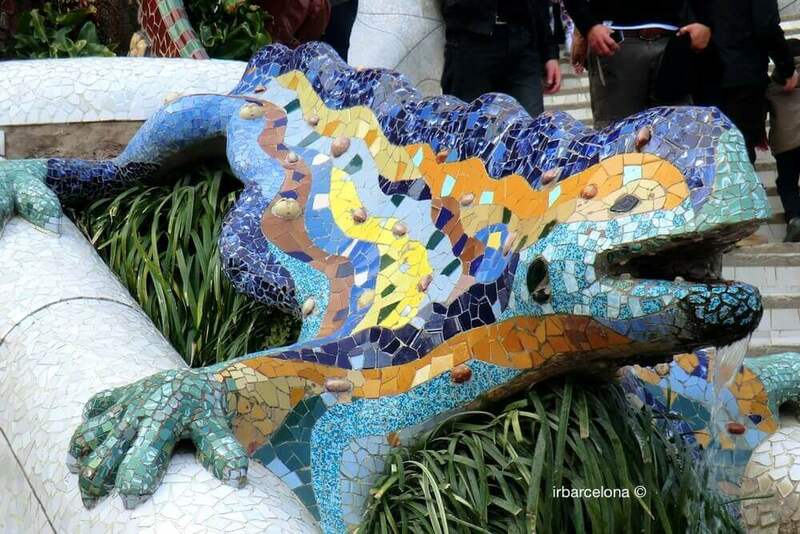 After lunch, and perhaps after having had a pleasant lie on the beach, it’s time to continue with your tour of the city – if you’re in Barcelona for just two days it’s worth making the most of every minute. If you have swum in the sea and need a shower and a change of clothes, now’s the time to pop back to the hotel before returning to the same area. Walk up to the Aeri del Port cable car stop, which you’ll find on the Platja de Sant Sebastià. There’s normally a queue to go up in the cable car, but it usually passes quickly. The cable car will take you up to Montjuïc Mountain, specifically to the Miramar gardens. Depending on what time you arrive here (ideally you’d want to be there at around 16:30, especially taking into account that if you’re in Barcelona in winter it starts to get dark at around 17:45) you can spend more or less time discovering what Montjuïc has to offer. If you’d like to see one of the most popular areas of the mountain, go down the steps that lead to the Jardins de Mossèn Costa i Llobera a garden where you’ll find all sorts of interesting cacti. Then you could go up the mountain, which we recommend doing by foot if you can, rather than going up the Telefèric de Montjuïc (the Montjuïc cable car), up to the Mirador del’Alcalde, from which you can enjoy one of the best views of the Old Port. Finally, you can then walk up to the nearby Montjuïc Castle, which boasts wonderful panoramic views of the city. Around Montjuïc there are many places to stop for a rest and have a drink. We recommend the two outdoor cafés situated at either end of the Jardins de Miramar, or the Caseta del Migdia that’s at the end of the Camí del Mar, next to the Mirador del Midgia (Migdia viewpoint). If you’d rather save some money, you can always buy drinks before getting in the Aeri del Port cable car, and enjoy them in any of Montjuïc’s parks and gardens. If it’s still not dark, we recommend that you wake up the Camí del Mar, which will take you up to the Caseta del Migdia; you’ll get the best view of the huge goods port from up there. Finally, you can return to Montjuïc Castle, where the 150 bus stops. It will drop you off right next to the Magic Fountain. We recommend that you check the timetable of the ‘son et lumière’ displays in advance; the times will vary considerably depending on the time of year of your visit. Taking into account where you are, the outskirts of Montjuïc offer some good options for dinner. Depending on what time you’re ready to eat, you can choose one option or another. This could be an excellent option for you, especially as it’s cheaper than the rest. You can grab a sandwich and a packet of crisps and watch the ‘son et lumière’ show at the Magic Fountain, while you eat your picnic. You might have a problem finding somewhere to buy your snacks if you don’t know where to look – the quickest option would be head to Carrer Lleida, where you will find various bars that will prepare sandwiches to take away. If you usually eat early at around 18:00 – 19:00, a good option could be to eat before seeing the ‘son et lumière’ show at the Magic Fountains. You could return to the Jardins de Miramar, where you can eat in one of the two outdoor terraces, which will provide you with time to rest and re-charge your batteries whilst taking in the beautiful views of Barcelona’s coastline. Depending on what time you’re used to eating, if you’d like to eat in the city centre you might need to plan to eat slightly later than you normally do, as 9pm to 10pm is when the locals typically eat. 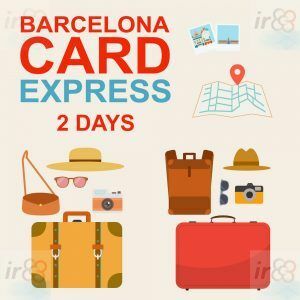 In order to do this, you can catch the metro at Plaça Espanya (the green line) to Liceu, where you can wander round the streets of the Gothic Quarter or of the Raval (which are at either side of Las Ramblas) to find something that takes your fancy. Whatever you do, avoid eating in the restaurants on Las Ramblas itself – the quality is inferior to anything you’ll get in the nearby streets. After the day we’ve prepared for you it’s likely that you’ll be weary after dinner, but if the night’s still young you can head to El Born – La Ribera area for drinks. Weather: ideally a sunny day, since going to the beach at some point during your visit is essential, for anyone who wishes to do so. As you’re spending the late afternoon around Montjuïc, it could be a bit chilly or uncomfortable if it starts to rain. 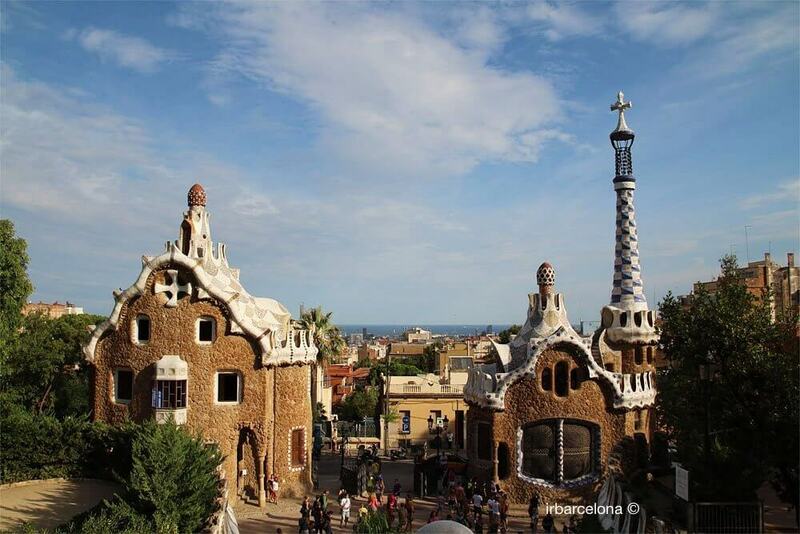 Your second day starts with a visit to Park Güell, which can be reached via the Metro (Line 3, getting off at Vallcarca or Lesseps). 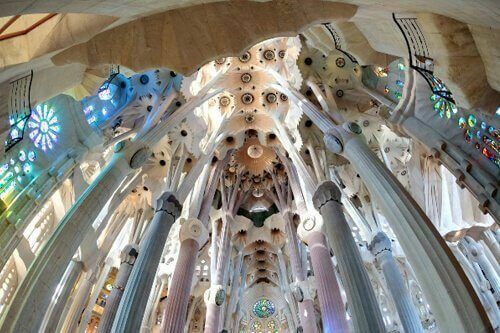 To get into the ‘Monumental Zone’, in which you’ll find the most well-known works by Gaudí, you’ll need to pay, but the rest of the park is free of charge to enter. After your visit, we recommend walking down Carrer Larrard, where you’ll find the Gaudí Experiència where you can enjoy (only by payment) the fantastic 4-dimensional audio-visual projection about Gaudí’s Barcelona, which is especially recommended if you’re visiting with children. 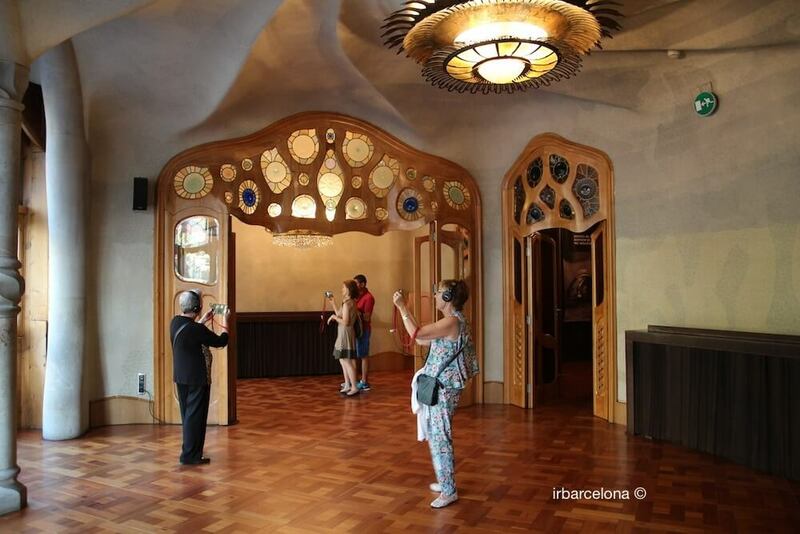 There’s also a shop that sells good-quality souvenirs related to Gaudí’s work, and a free multimedia exhibition that gives more of an insight into the great architect’s life and work. 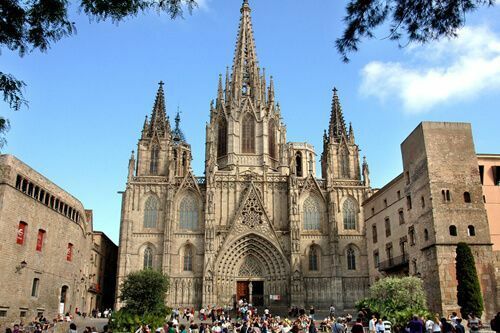 Next on your schedule is the Basilica de la Sagrada Familia, and we recommend catching the Metro at Lesseps (Line 3) and changing at Diagonal (to Line 5), getting off at the Sagrada Familia stop. When visiting Park Güell and Sagrada Familia it may be a good idea to buy the pack offered with the Barcelona City Pass, which includes a visit to both sights as well as transport by bus from the airport of Barcelona or Girona to the city (only includes single journey). So that it is worthwhile, you should also make use of the 20% discount included to purchase tickets to a number of other tourist attractions and places of interest. If you’re ready for a coffee, there are plenty of bars and cafés in the area, and we’d recommend heading towards Carrer Provença or Avinguda de Gaudí. Guided tour in english and skip the line! 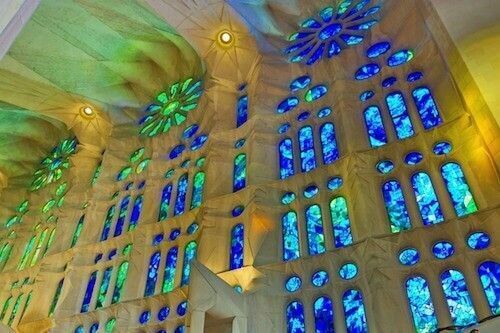 The trip to the Sagrada Familia can really take up as much time as your schedule allows. Providing you started your day promptly and don’t want to stay too long at the Sagrada Familia, then we think you could be leaving at around 12:00 to 12:30 at the latest. Although you might be starting to feel hungry by now, we’d recommend embarking on one more Metro journey before sitting down to eat. Catch the Metro at Sagrada Familia (Line 5) and get off at Diagonal. In this district there are many restaurants, with a wide variety of cuisine. Depending on what you’re after, you can find anything from fine dining to fast food restaurants and food to take away. Walking down the Passeig de Gràcia, you’ll see that on both sides of the road there are plenty of restaurants. In the little Passatge de la Concepción there are three or four good-quality restaurants that we’d recommend, or another good option would be to walk down the Rambla de Catalunya, which runs parallel to the Passeig de Gràcia, as most of the bars and restaurants there have an outdoor terrace, and the prices are reasonable. After lunch, it’s time to walk up to the Casa Milà, also one of Antoni Gaudí’s works. 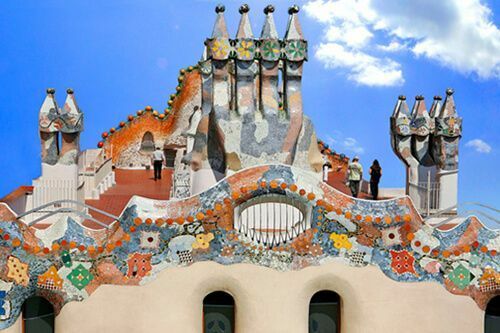 Having arrived at this point and given that until now we have only taken you to Gaudí’s works today, we recommend either choosing to go inside the Casa Milà or the Casa Batlló, which is just a short walk down the road. Visiting just one of these works by the great architect will allow you to enjoy the rest of Barcelona at a slightly more leisurely pace than if you were to cram both of them in. This is, however, just our recommendation – whether you choose to go round both buildings, just one of them or neither of them, it’s your holiday after all, and we want you to enjoy it! 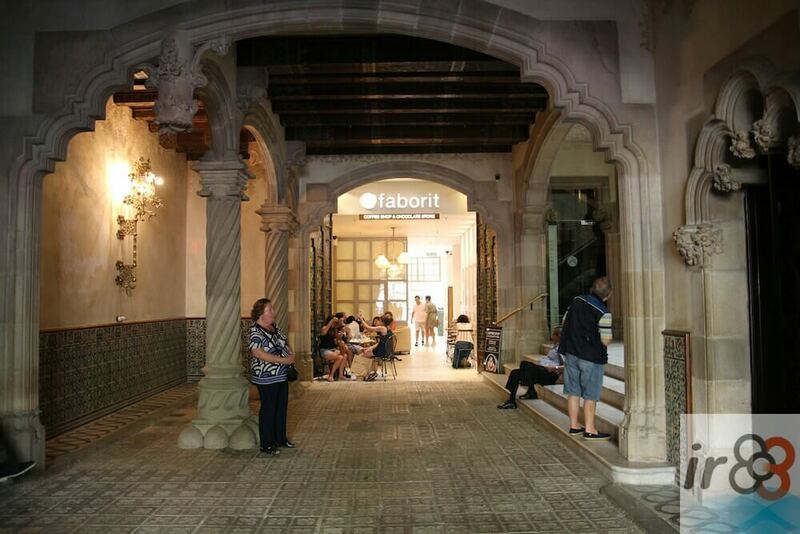 Although you’re already well into the second and last day of your trip, it’s worth popping into the Palau Robert, which houses one of the city’s tourist information points, where you can pick up maps of the city, and find out more information about any of Barcelona’s sights. After walking down the Passeig de Gràcia for a few more minutes you’ll reach the Plaça de Catalunya, where you’re sure to come across the hundreds of pigeons that gather there. They are attracted by the food that is sold in the kiosks for tourists to feed them – a favourite activity, especially for families with young children. Where to have a rest and a coffee? The busy day is sure to be taking its toll, so the time has come to rest for a while. We recommend a few places where you can stop for a drink and a snack. Located in a place that couldn’t be much more emblematic of Barcelona, the ground floor of Gaudí’s Casa Calvet could be a very good option for resting a while, especially if it’s a rainy or cold day, while you have a good hot chocolate or coffee, accompanied by one of the many types of pastry that are on offer. A few minutes’ walk from Las Ramblas, you’ll find one of the places least-frequented by tourists, except for those who happen to be staying nearby. The Rambla de Raval has many outdoor terraces, and is an ideal place to stop and rest, especially on a sunny day. Another very good option to stop and enjoy a drink, as this area has a huge amount of bars and outdoor terraces, and is a great place to spend the last hours of daylight. After taking time to rest and re-fuel, now we simply recommend that you wander round the streets of Sant Pere, Santa Caterina i la Ribera. Yes, you’ve read correctly – after a couple of days of sightseeing and sticking to our suggested schedule, we think you need some freedom to explore this historical area at your leisure, including the gothic buildings, small shops selling crafts and clothes, and plenty of traditional local bars. Do look out for the beautiful façade of the Palau de la Música Catalana, walk along the Carrer Montcada that was one of Barcelona’s most important streets in the 15th and 16th centuries, and where you’ll see the Picasso Museum (a must-see for admirers of the work of this iconic artist). Try to find time to go into the vast Basilica de Santa Maria del Mar, and if you are still in daylight, go for a walk round the Ciutadella Park. Dinner: We’re sure that after walking round this area, you’ll have stumbled across all sorts of bars and restaurants that have caught your eye. The range of food available is huge, and the vast majority of restaurants are very good, so we’ll leave you to choose where you’d like to enjoy your last dinner in Barcelona. You could go for a nightcap in the Bosc de les Fades (‘The Fairies’ Forest’), a bar just across the road from the Christopher Columbus statue, in which you’ll be enthralled by its unique décor. Or you could head to El Born area, where you’ll have no problem finding bars in which to enjoy a drink. If the night is still young and you’re up for more of a ‘fiesta’ atmosphere, you could go to the Somorrostro Beach, next to the two large towers (Mapfre and Hotel Arts), where you can dance the night away in any of the bars or nightclubs that are just next to the beach. Weather: best on a sunny day, but if the forecast for one of the days is for rain or cloudy, then this is the best day to do the things we have suggested for Day 2. The majority of your route over these two days is by foot, but in some cases it’s necessary to use public transport. Taking into account the fact that you may need to use the metro to get to and from your hotel, it’s more than likely that you’ll take between 8 and 10 journeys. If your accommodation is in the city centre, we recommend that you buy a T-10 ticket (that allows you to make 10 journeys, and you can share it). If and when it runs out, you can buy another, and if you’re travelling as a couple, the likelihood is that you’ll need to buy 2 of these tickets in total. 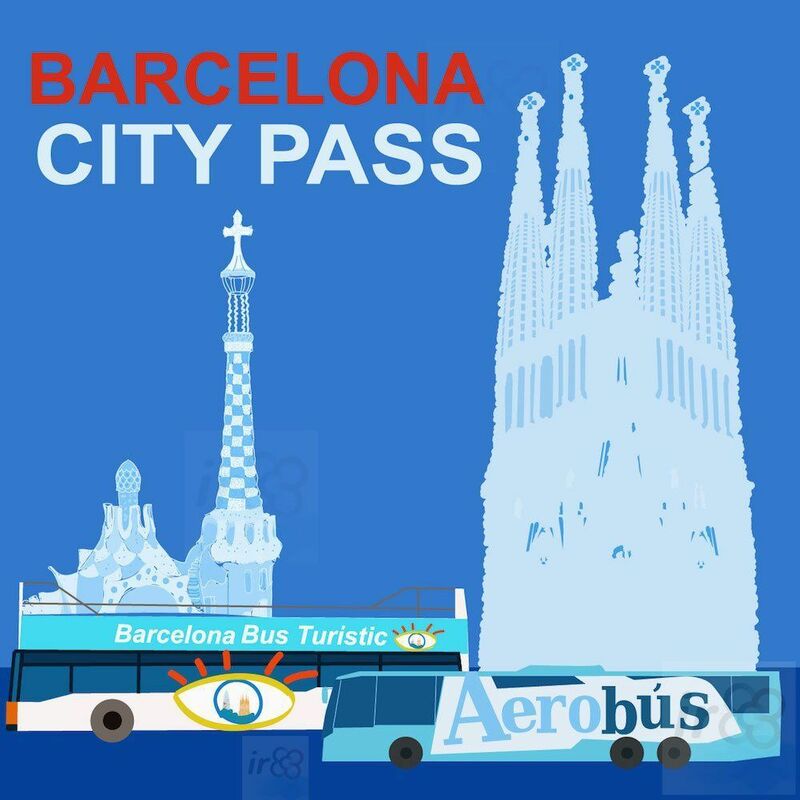 The ‘Hola Barcelona for 2 days ticket is only financially beneficial if you’re going to do 6 journeys or more on public transport each day, that’s quite possible if your hotel is slightly further outside the city centre. 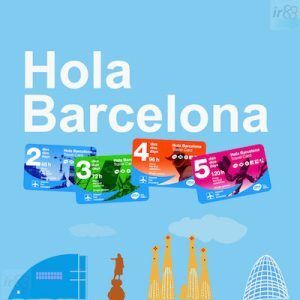 More information about Barcelona’s transport system. Estimated transport costs: It will vary according to how many journeys you’ll make, but is likely to be around €10.20 to €12.40 if your hotel is right in the heart of the city centre. If you’re slightly further out, it could be more like €14.60 to €16.80 per person. If you roughly follow the plan that we’ve suggested, it’s unlikely that the 2-day Barcelona Card will work out cheaper than buying individual tickets. However, if you decide to vary the route a bit, it’s worth looking at the museums that you’re going to visit and the discounts that the card offers, and working out what to do based on this. The same applies to the other tourist tickets – Arqueo Ticket and ArtTicketBCN. Cost of seeing the sights (excluding food): €60 – €100 (providing you go into the sights that we’ve recommended, and this will be lower if you’re entitled to a discount for whatever reason). Try local specialties: we suggest that as well as trying the typical Paella, you should try to sample other local food, such as the many famous tapas on offer (patatas bravas, croquettes, meatballs etc). Don’t be afraid of getting lost! : don’t be scared of getting a little bit lost in the streets of Barcelona because our experience tells us that this is when you discover some of the city’s best-hidden gems. Don’t leave shopping until Sundays or a public holiday: if your holiday falls over a weekend, we recommend that you take the opportunity to buy any gifts on the Saturday while you’re walking round the city, as on Sundays and public holidays the vast majority of shops are closed. You’ll only find shops open in the Maremàgnum shopping centre in the Old Port, and in very few places in the Gothic Quarter and the Born district. However, the gift and souvenir shops within the tourist attractions do open seven days a week. The restaurants and bars on Las Ramblas itself: you will be able to find much better quality food at more reasonable prices in the neighbouring streets. Take care of your belongings: it’s an unfortunate fact that the most touristic areas of the city are those that are targeted by pickpockets, who are on the look-out for easy steals of wallets and handbags.